This is a large bottle usually glass, sometimes sandstone, protected by foam, straw or wicker woven into the very walls and used for storage and transport of food, beverage and other liquids (alcohols, acids, etc..). Spherical, flattened at the base, they are surmounted by a neck of about 50 mm in diameter. The capacity is from 5 to about 50 liters. 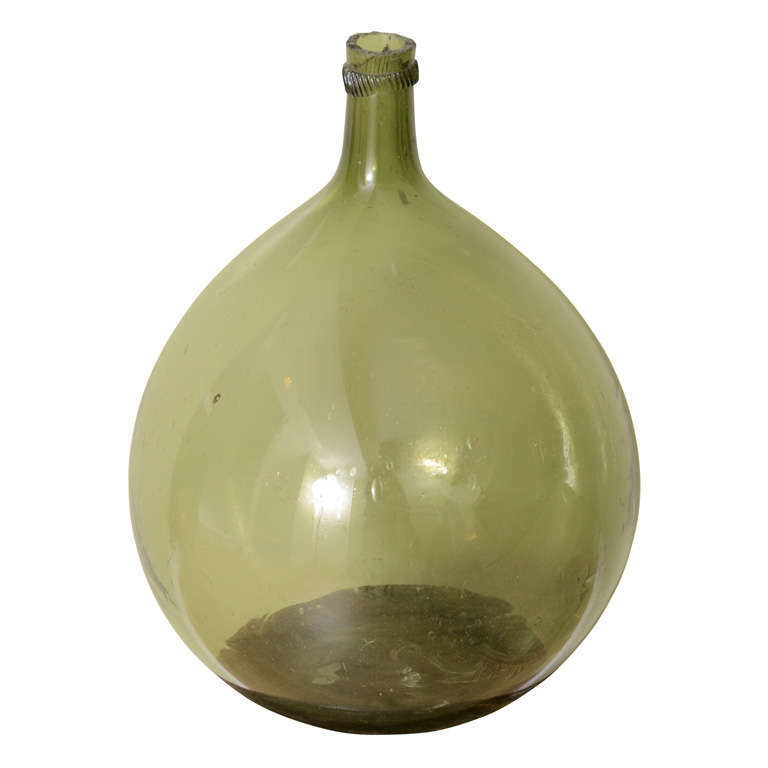 For oil, the demijohn is normally ceramic and has handles. For wine, it is glass and has no handle. After spending the night, the Queen wanted to see make the bottles. A little disturbed, the glassmaker blew the jaws of his cane, and realized a huge bottle that was admired by all its capacity of ten liters. He decided to start manufacturing and Jeanne-called queen, but the sovereign modestly suggested to give him the name demijohn. To protect the large bottle, the glass maker dressed the wicker. $375 for the entire lot. This entry was posted in PAINTINGS, PRINTS, DRAWINGS on October 27, 2012 by webmaster.